Whether threatens Russia and the United States gas war? In early October of this year, Moscow hosted Russia's energy week, the second in a row. The international forum founded on the initiative of the Ministry of energy and is rapidly gaining popularity, this year in its work took part the heads of relevant departments, leading global energy companies and corporations from 60 countries, expanding the themes of the plenary sessions and round tables. The global coal market is five times higher than gas. But about it all are silent. Why? WREN is notable for the fact that it cannot be concluded the transaction does not create a joint venture – the elite of the industry discussing the situation in the global energy sector, there is a discussion of projections of solutions to the existing problems, evaluated various ways of development, evaluated the mutual impact of energy on international relations and Vice versa. At this time most actively discussed what is happening in the world markets of natural gas, both pipeline, and liquefied. Of course, this energy resource is becoming increasingly popular, rapidly growing number of countries that are starting to use it not only in the energy sector, gas has come to the market for automotive and marine fuels, it is increasingly in demand as raw material for the chemical industry. Of all fossil fuels natural gas most contributes to the struggle to reduce dirty air emissions. It is not only that the reduction in emissions is one of the ways of achieving the objectives of the Paris climate agreement – natural gas fuel cheaper than gasoline and diesel, this parameter has natural gas attractive for developing countries where motorization is rapidly progressing. A lot of gas, the gas is increasingly available to consumers, the world market increases in volume by 3-4% annually in the next decade the number of countries that use LNG, according to experts, should increase from the current 17 to 40. There are new pipeline projects, construction of new plants for liquefaction and LNG tankers, regasification, new terminals. Have natural gas and another attractive trait about a lot of politicians of many countries, big and small trade wars and some skirmishes, and for such dramas we just interesting to watch. It is completely in the shadow leaves the energy resource, which was and remains the basis of world energy, although many politicians and journalists following them, called coal "the fuel of the XIX century". Call it what you want, but in the world balance of it has a share of 43%, while natural gas has won only 23% and that's all what I talk and talk – pipelines, gas plants, new consumers and producers by 2035, will increase in three per cent. The gas war is sometimes like a colorful spectacle with an intricate, thrilling story that play beautiful artists. We are sitting in a huge auditorium, passionate about the ongoing action, not paying attention to the curtain behind the proscenium – it's dark, the color of anthracite. The volume of annual global gas market is estimated at 250-260 giant billion, a year-on-year, this amount becomes more, more and more players strive to win your niche. It captures so much that that annual global coal market is about 1.3 trillion dollars, we are reminded often. 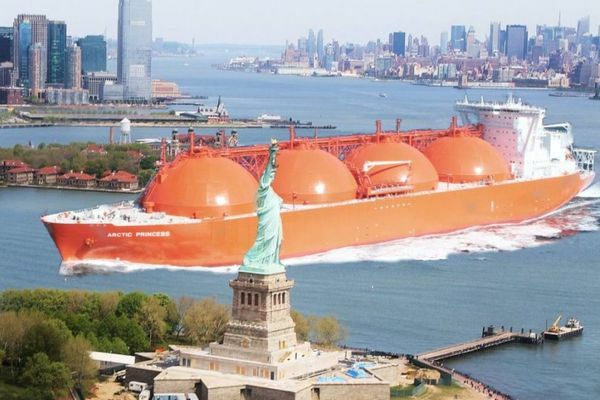 It is no secret that one of the reasons that natural gas has become such a popular topic in the media – the fact of the appearance in the global market players such as the United States. Let's be objective – the shale revolution, which many were and are skeptical, indeed, led to very serious changes in the global gas market. States stopped buying LNG, although only a decade ago they were a world leader as an importer. Now, if you believe Donald Trump, the States will become the world energy leader. Is this possible and if Yes, how it will look and what will be the consequences for Russia? Will be discussed in future publications. Where willing to take us LNG? To analyze the developments in the global gas market, what place does it now occupy Russia and the United States, what is the future of gas companies of the two countries, it is necessary to understand the current rules of the game. Gas sector in the economy we have, is the ocean, here and there, it is actively developed, but is developing and is regulated by the States in very different ways. The Gazprom – owned company that has legislated a monopoly on exports of pipeline gas. From the moment of commissioning the first production line at the plant "Yamal LNG" has appeared in Russia and the second largest player in the global gas market, its LNG sector – private company NOVATEK. However, let's be honest – a major player in the LNG market, NOVATEK is the only in Russia. Next year "Yamal LNG" will reach its full project capacity, which will amount to 20 million tons of liquefied natural gas, for which NOVATEK will produce almost 28 billion cubic meters of gas deposits of Yamal. But there is nothing to compare – national gas company of Qatar supply the world market with 77 million tonnes of LNG, and the pursuit leader is just beginning. In different forms of ownership, Gazprom and NOVATEK have significant similarities – both companies are vertically integrated. Themselves scout fields themselves are exploiting themselves it is processed (Gazprom sells pipeline projects), determine to whom and on what terms they will sell their products in foreign markets. For us it is so natural that we don't even think the terms on which operates the gas sector in the United States. That said, Donald trump - "the United States will supply its LNG to Europe," and in our heads even thought not such action or not. We extend our experience on the United States, automatically assuming that there's a painting similar to one another with our. We've got what? Arrived in Russia with the state visit of the President of the PRC XI Jinping met with Russian President Vladimir Putin in the presence of our national leaders heads of the state's gas companies signed a contract for the main gas pipeline "Power of Siberia". In all, the implementation mechanism of the Treaty "spun", the gas companies rushed to develop the field and to lay the pipe. And our imagination is running on the machine: trump said that LNG produced in the U.S., go to Europe – then it will happen. And now there was "decomposed" - move States our Gazprom in the European gas market or not, if move, how, when and by how much. Exciting, but reality does not match the word "generally". In the United States no vertically integrated gas companies. In the States there is no state gas companies. No trump its order or decree is not able to force private companies to supply LNG to where he wanted it. And exactly the same situation in Europe – here too, there are public companies, not gas companies, which are controlled by the European Commission. So trump can meet Juncker at least five times a week – no "state of the US company and the EU" will not sign anything because there are no such companies. Why? Yes, because the liberalization of the market, about which we talk so much, our "Western partners" had already happened. Here only it is not connected to the incredible devotion to the liberal doctrine from America and Europe leave these myths storytellers. That States that Europe was for many years consumers of oil and gas, and because of legislation they have "adapted" to the interests of the consumer and aims to ensure that suppliers impose their own rules. The Economic Charter Treaty, the Third energy package – this is it. 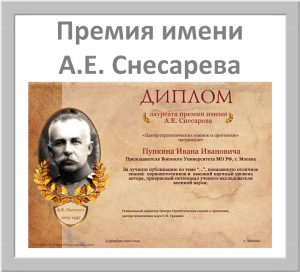 Created this legislation for a long time, acquiring bureaucratic curls – regulations, licensing system and other things. In Russia everything is done exactly the opposite – laws regulating the gas market, aimed at protecting producers. It's like once they say in Odessa, "two big differences". So large that they really need to look closely at.